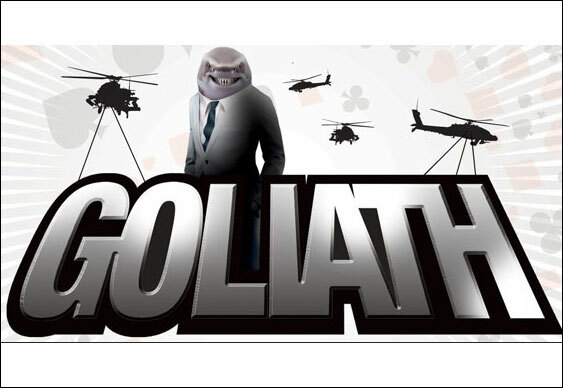 There's less than a month to go now until one of the most eagerly anticipated events on the UK poker calendar – the Grosvenor Casinos' Goliath. Thousands of hopefuls will be heading to the G Casino at the Ricoh Arena in Coventry next month, enticed by a massive guaranteed prize pool of £250,000. All for a buy-in of just £120. This year's event runs from Saturday 8 until Sunday 16 August and will feature no fewer than six opening day flights. Players will start with stacks of 20,000 chips with a 40-minute clock. As usual, there's plenty of side-event action lined up with Omaha, Blind Man's Bluff, Deep and Steep and Win the Button formats scheduled throughout a packed week. Last year's conqueror of Goliath was Ryan Foster who turned his £120 buy-in into a massive £62,230 score after topping a massive field of 3,394 entrants. If you fancy trying to qualify even more cheaply, satellites are up and running at Grosvenor Poker, with buy-ins starting from just £1+10p.